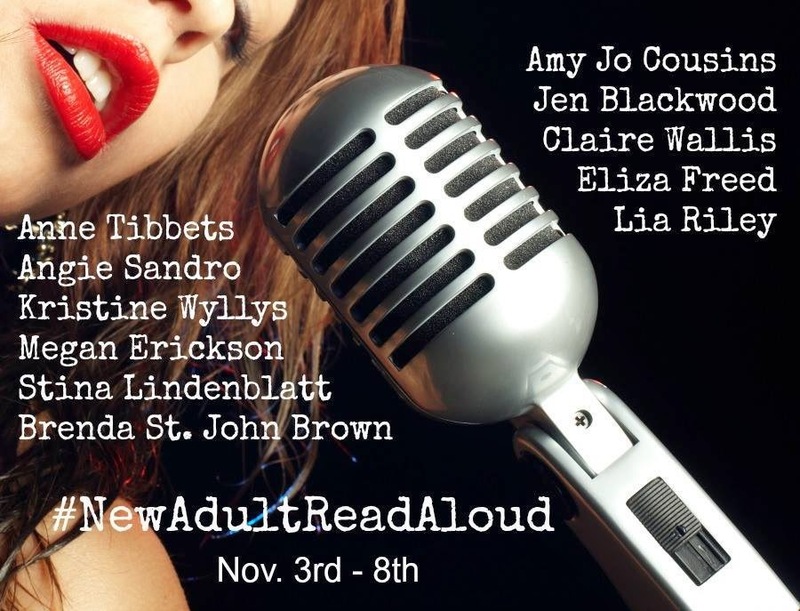 It's is the final day of the #NewAdultReadAloud. For six days, two amazing authors posted a video of themselves reading an excerpt from a #newadult novel written by one of the other participants. Today, Kristine Wyllys, author of WILD ONES, is reading DARK PARADISE by Angie Sandro. Yes, the adorable Kristine is reading an excerpt from my novel. It's pretty cool hearing words I wrote spoken by someone other than myself or my husband. I think she did a fabulous job. In fact, all of the participating authors poured out the love with these videos. If you missed any of them, scroll down. I have all of the videos below, with buy links for the novels listed. So, if you enjoy what you hear, please support these wonderful authors by purchasing their books. Thank you! It's been fun. Stina Lindenblatt is reading from WILD ONES by Kristine Wyllys. Brenda St. John Brown is reading from UNETHICAL by Jennifer Blackwood. Angie Sandro is reading from SWIMMING TO TOKYO by Brenda St. John Brown. Megan Erickson reading FORGIVE ME by Eliza Freed. Lia Riley is reading PUSH by Claire Wallace. Anne Tibbets is reading UPSIDE DOWN by Lia Riley. Eliza Freed, is reading CARRIER by Anne Tibbets. Claire Wallis is reading OFF CAMPUS by Amy Jo Cousins. Amy Jo Cousins is reading MAKE IT COUNT by Megan Erickson. I couldn't add the video to the post for some reason. Sorry!